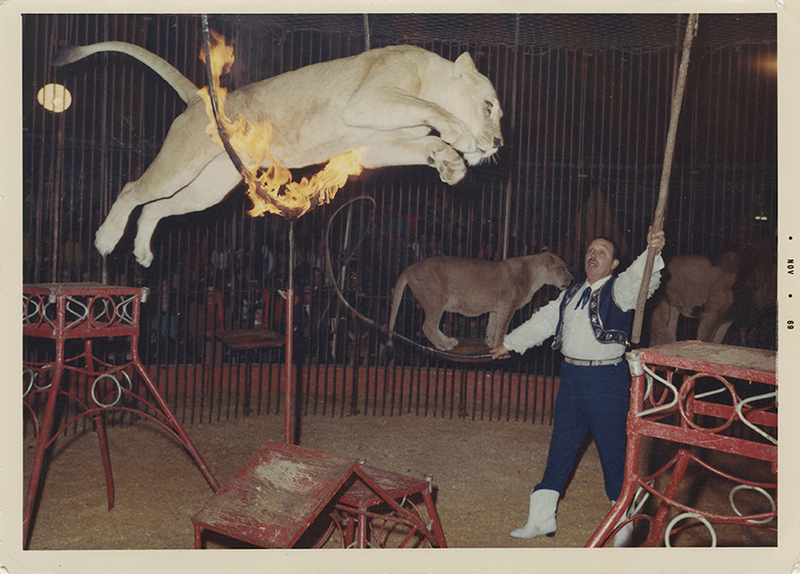 The golden age of the circus was during the 19th century. Barnum & Bailey was a gigantic company that traveled across the United States in trains nearly two kilometers long. 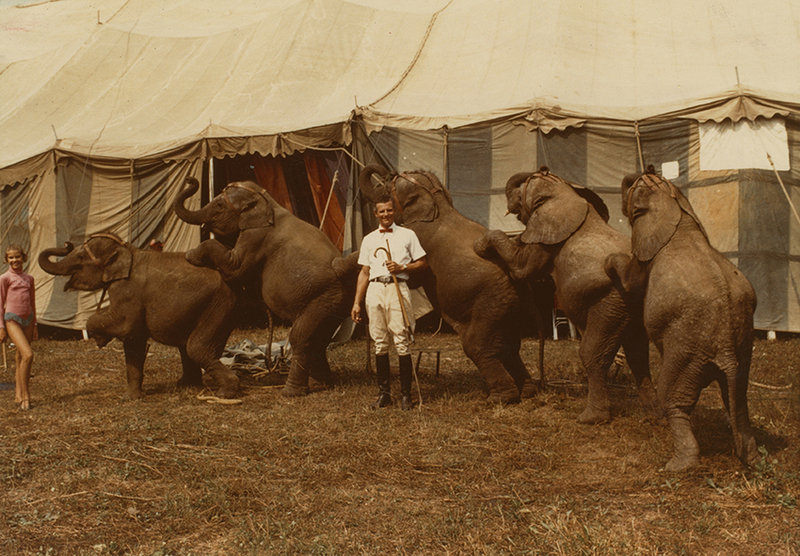 In 1919 the company merged with the Ringling Brothers to form the largest circus in the world. Attendance began to decline following WWII, in part due to the influence of cinema and television. The last Ringling Brothers performance under a ‘big top’ was in Pittsburgh in 1956. 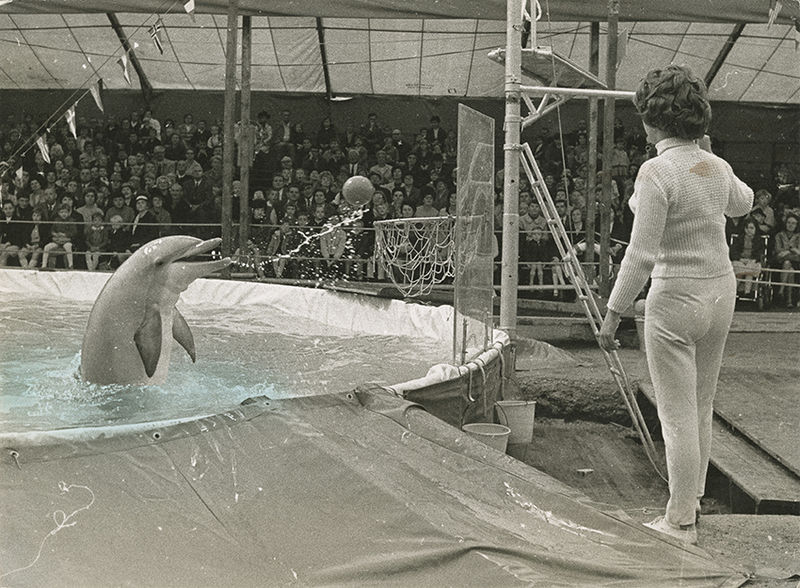 This exhibit brings together images from various collections within the Archive of Modern Conflict to commemorate the 250th anniversary of the modern circus and to celebrate the essential ingredients involved in creating any truly spectacular show beneath the ‘big top’. Perhaps the same insatiable appetite for the ever more fantastic was what later drew crowds to watch the nuclear tests in the Nevada desert during the 1950s. It´s the force that has enabled mankind’s greatest achievements and equally destructive tendencies. The collective vertigo of risking our lives.